Riviera Nayarit Mexico Blog: Riviera Nayarit: The Winter Promotions Are Here! 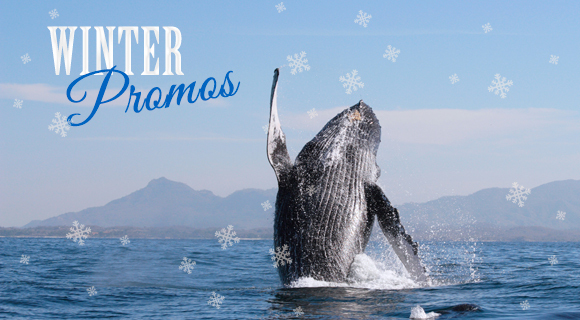 Riviera Nayarit: The Winter Promotions Are Here! From now through March 15, 2016, there will be 28 participating hotels offering discounts from 20 to 55 percent off, complimentary tours, unlimited golf, two kids stay free and much more. The Marketing department of the Riviera Nayarit Convention and Visitors Bureau (CVB) and the members of the Hotel Association have launched their latest Winter Promotions. The 28 participating hotels are: Bel Air, Hoteles Decameron, Dreams Villamagna, Four Seasons, Grand Palladium, Grand Velas Riviera Nayarit, Hard Rock Hotel, Las Palomas Nuevo Vallarta, Iberostar, Imanta, La Tranquila, Grupo Marival, Occidental Grand, Ocean Breeze, Paradise Village, Hoteles Riu, Samba, St. Regis, Villa Group, Villa Varadero and Vista Vallarta. The hotels are located in Nuevo Vallarta, Flamingos, Bucerías, La Cruz de Huanacaxtle, Punta de Mita, Litibú-Higuera Blanca and Guayabitos. These Winter Promotions include everything from interest-free payments, suites with private plunge pools, and discounts from 20 to 55 percent to one complimentary tour of your choice, kids stay free, up to $50 USD resort credit for spa and much more. Check out all the promotions and make your reservations at http://rez.rivieranayarit.com/Riviera-Nayarit/hotels.